Hi everyone! I saw Julee's Mojo sketch this morning and knew I wanted to use it to make 1 more card with the supplies that were still on my desk from my last card. Which were the Echo Park Coffee paper pack and the Coffee or Tea? 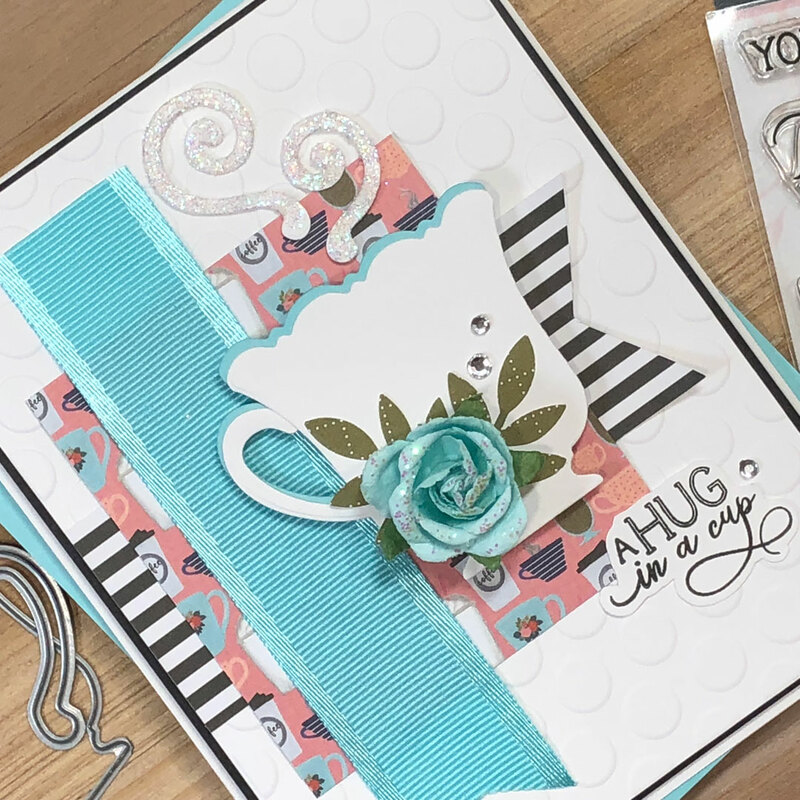 die set from Stamp Simply Clear Stamps. There are lots of fun elements in this card. Most of you know I've been cleaning out my craft room, I've been tackling boxes and drawers in batches. Anyway, on Saturday I found some retired packs of Prima flowers and several old Cuttlebug embossing folders! I tossed quite a few in the garage sale pile, but kept some and I used both on this card which makes me very happy. I used a piece of satin edge grosgrain ribbon as the top panel of the sketch. The shade of blue perfectly matched the patterned paper and flower and I couldn't pass it up! I love Julee's sketches and was glad I could put this week's to good use. Here's the Mojo508 sketch if you want to play along. 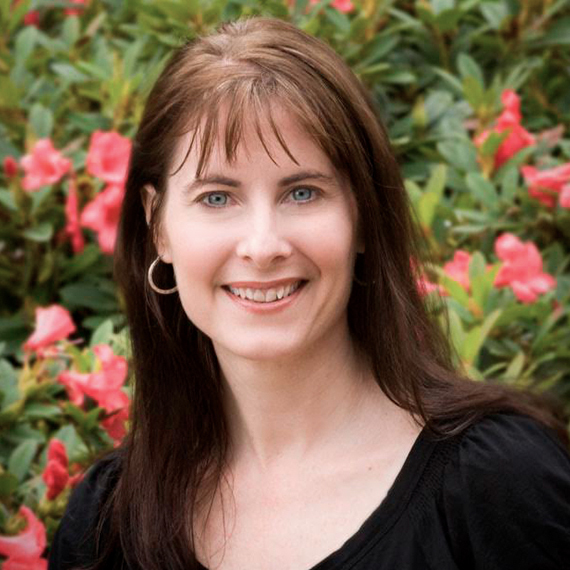 Thanks for stopping by have a great evening! Here's a close up pic of the coffee steam. I added a thin layer of glue and pressed it into some fine glitter. I wanted to add a bit more sparkle to match the flower. Nothing better than rediscovered treasures in the craft room. 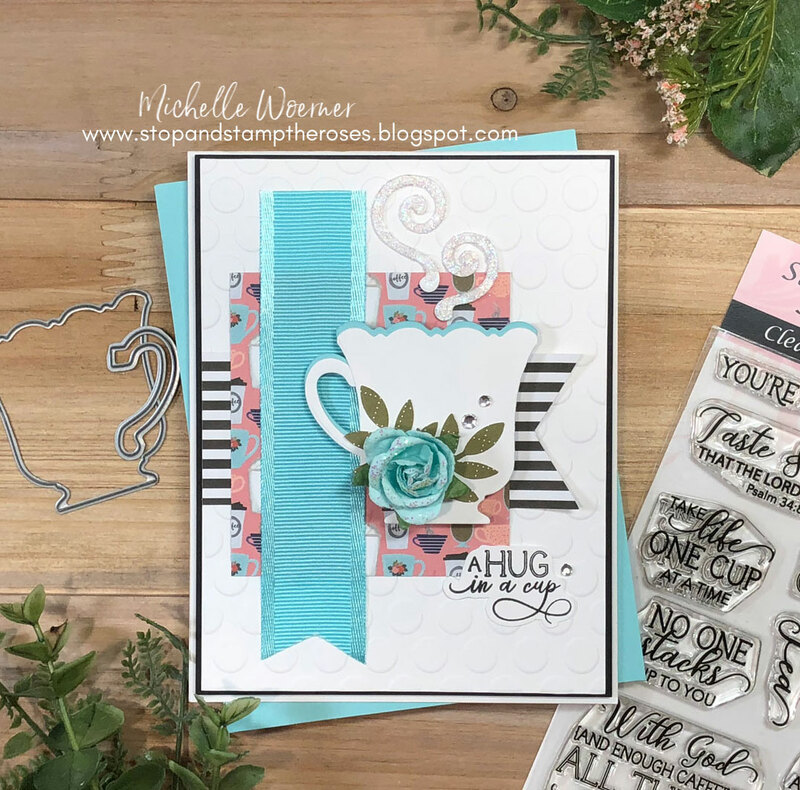 Love this beautiful card, Michelle! 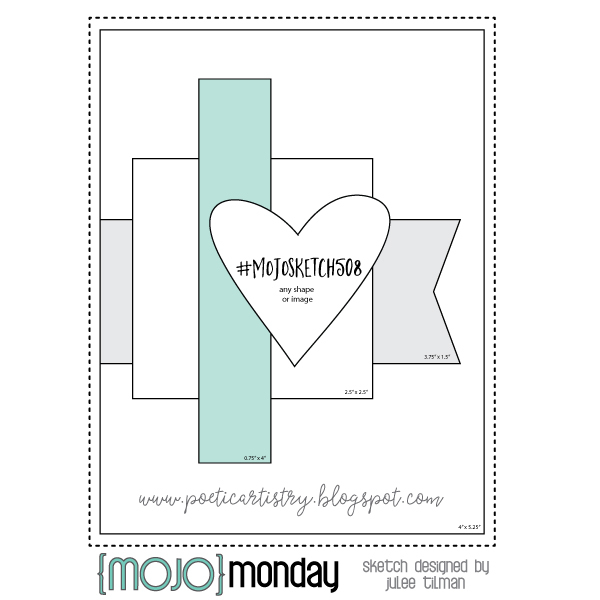 So glad you could join me for Mojo Monday! Really cute card. I love the tea cup and the sentiment is perfect. Great Job!